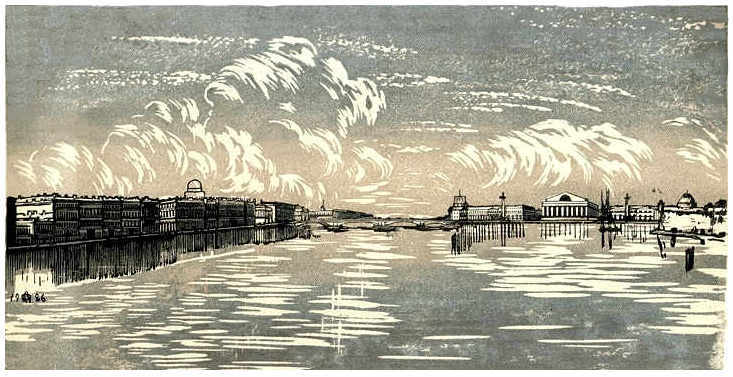 (b St Petersburg, 17 May 1871; d Leningrad [now St Petersburg], 5 May 1955). 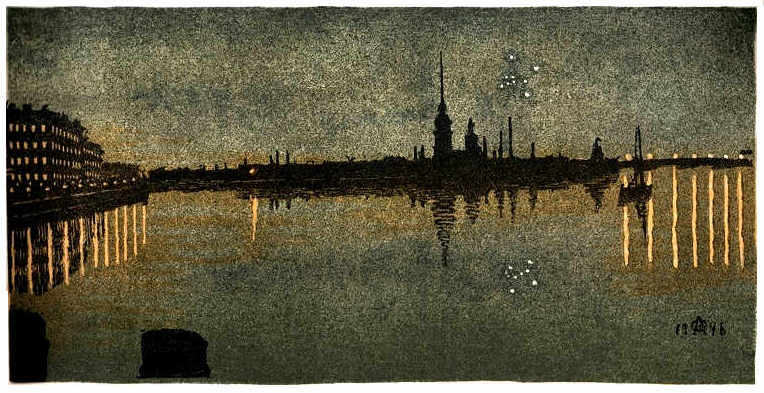 Russian painter and printmaker. 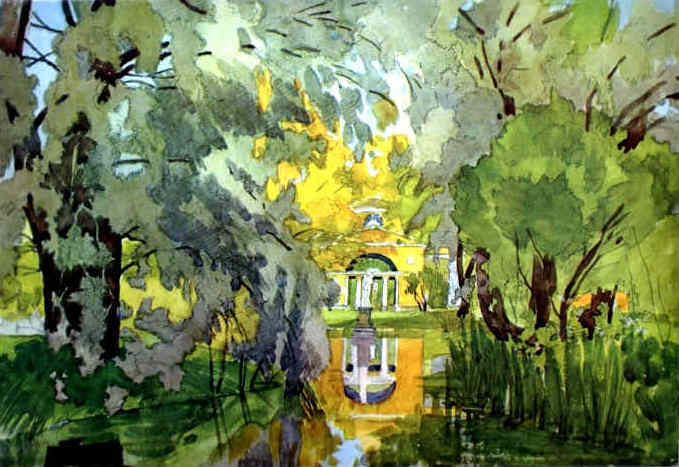 She studied at the St Petersburg Academy of Arts and also worked in Paris in 1898 and 1899 in the studio of James A. McNeill Whistler, alongside Konstantin Somov. 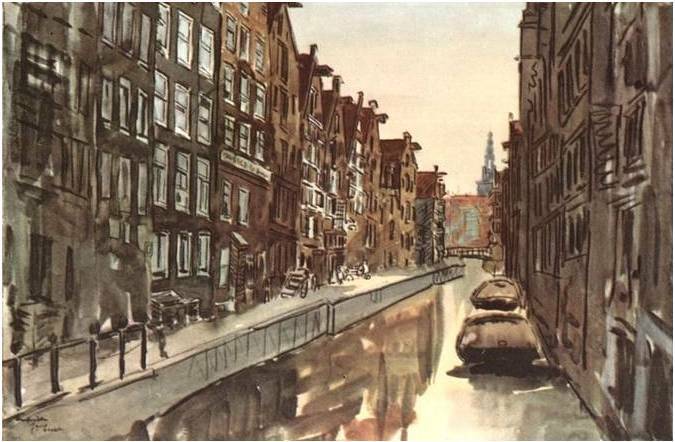 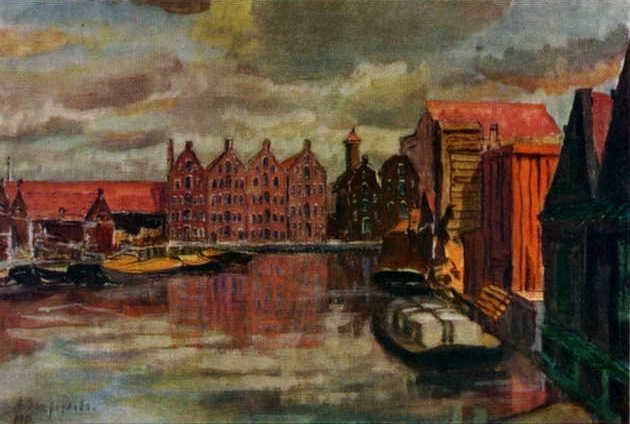 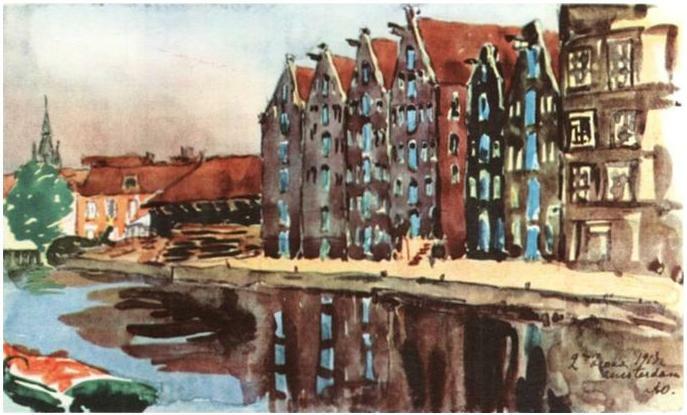 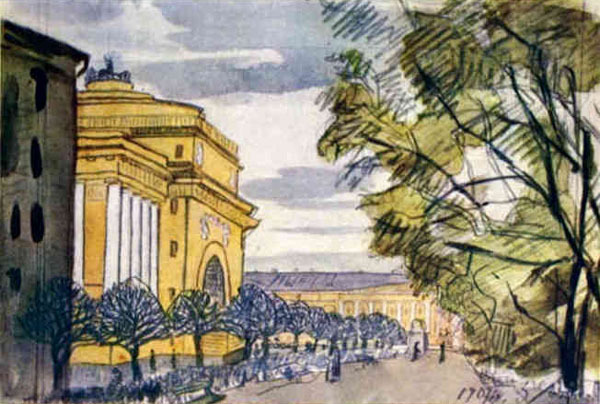 She joined the WORLD OF ART (Mir Iskusstva) group in 1899 and contributed to their journal. 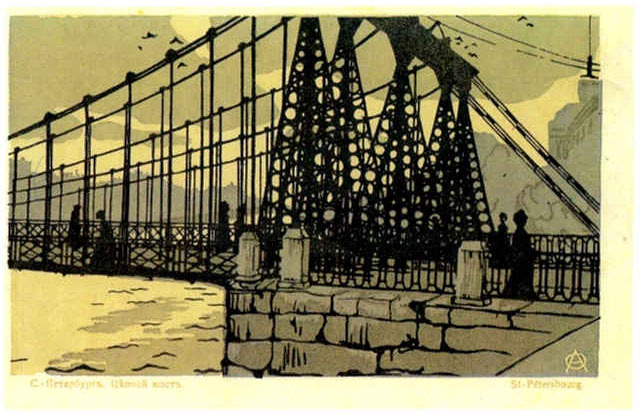 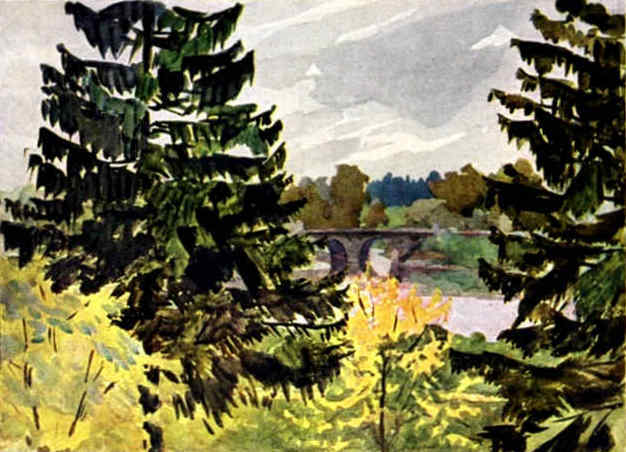 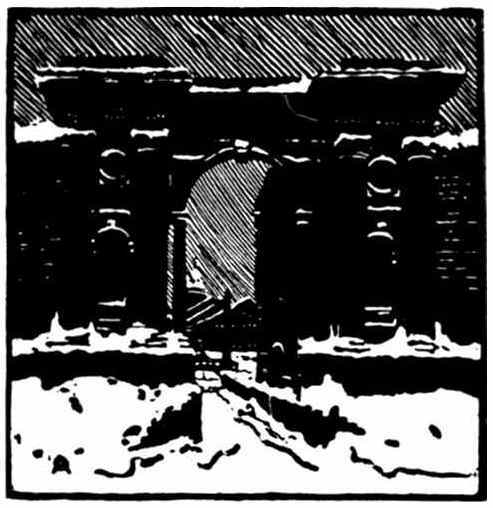 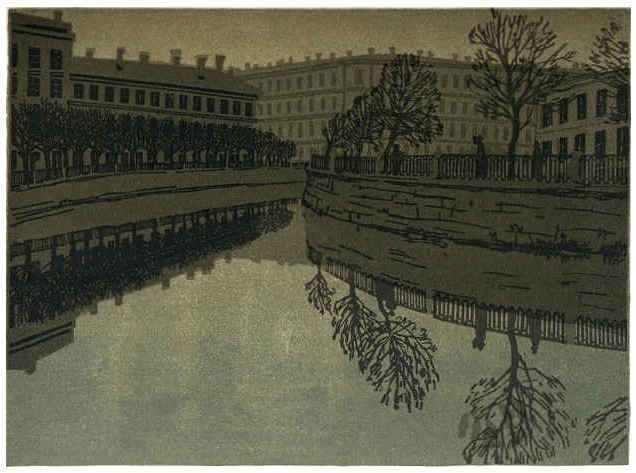 Working mainly in graphic arts, in both monochrome and colour, she was responsible for a revival of woodcutting techniques in Russia. 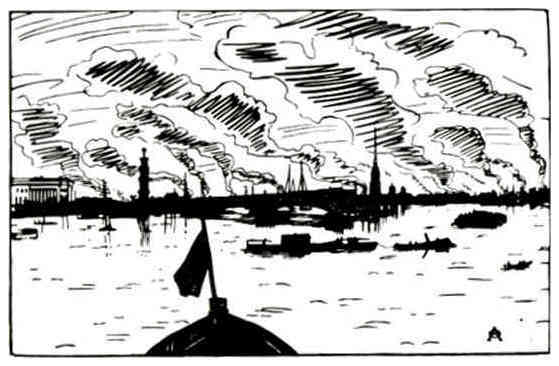 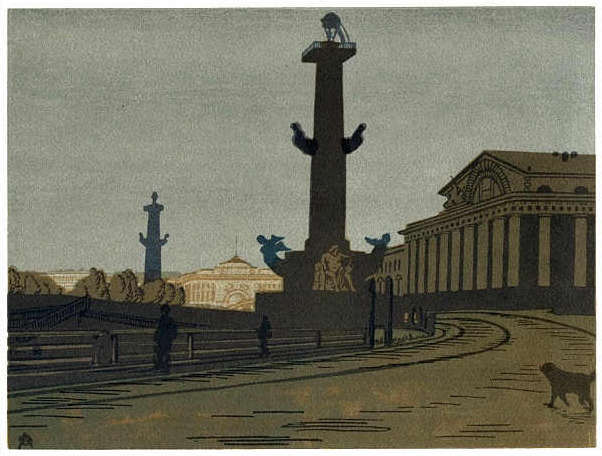 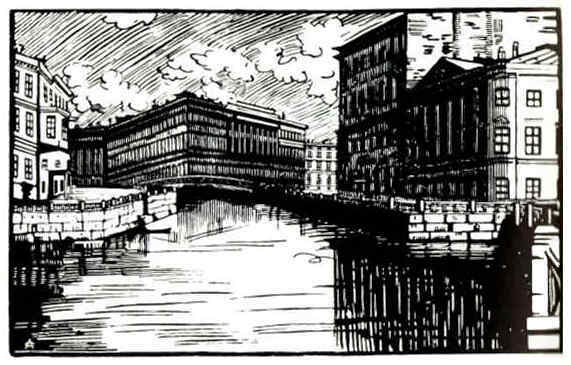 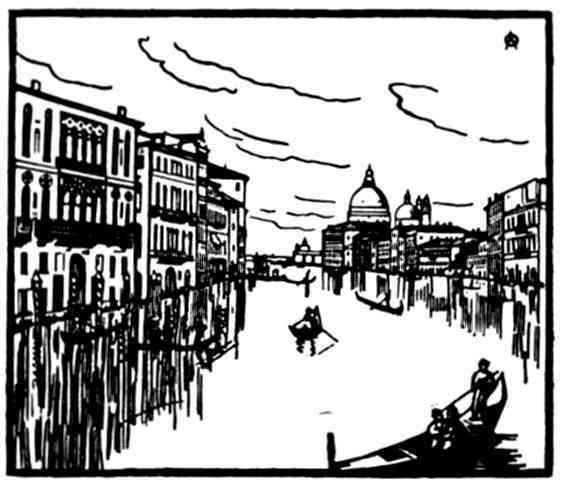 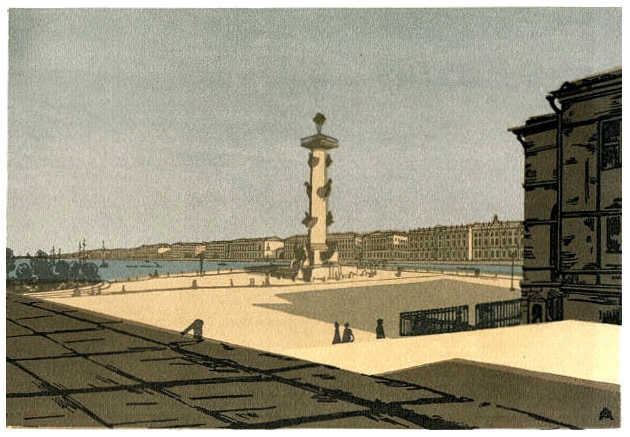 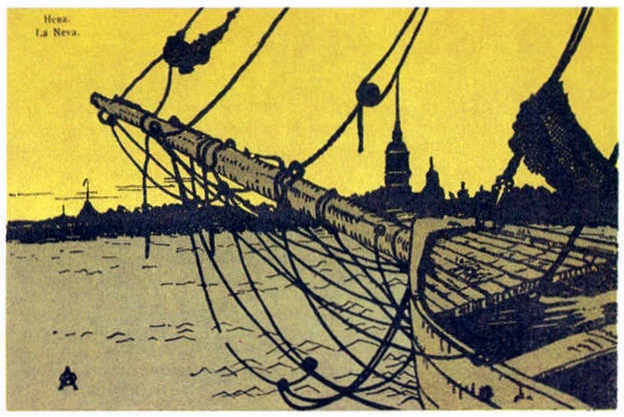 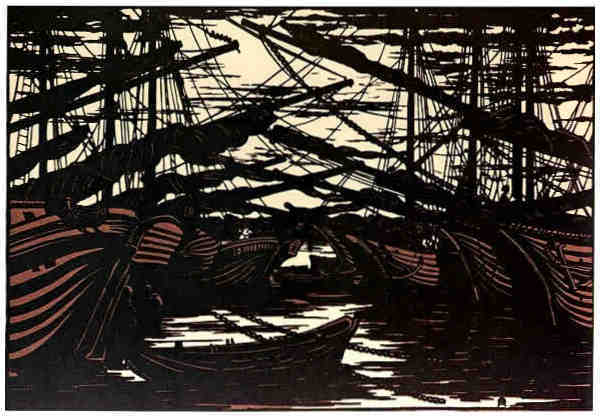 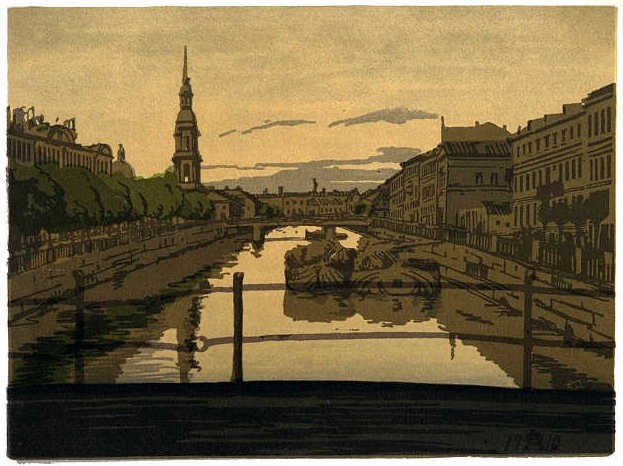 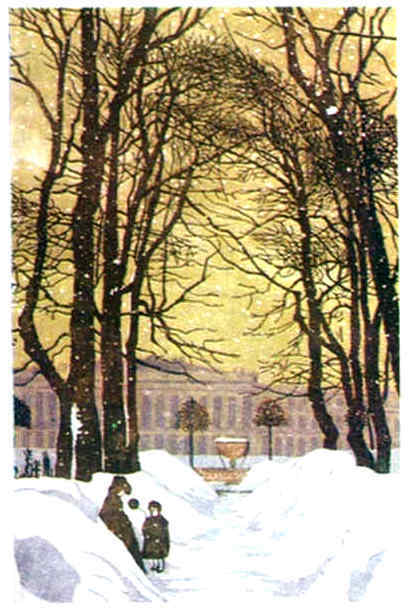 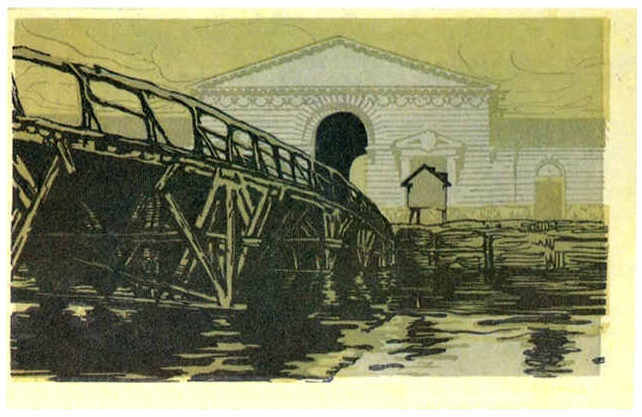 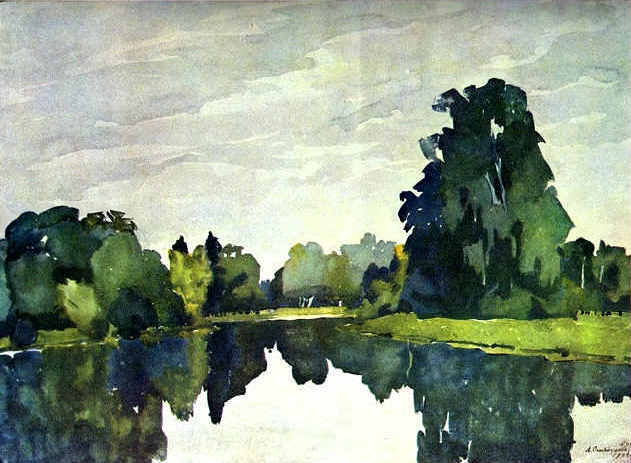 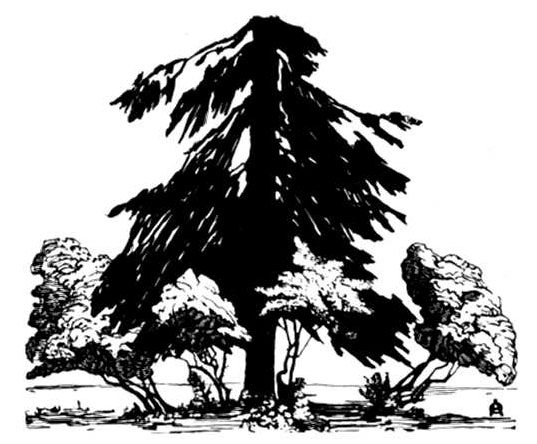 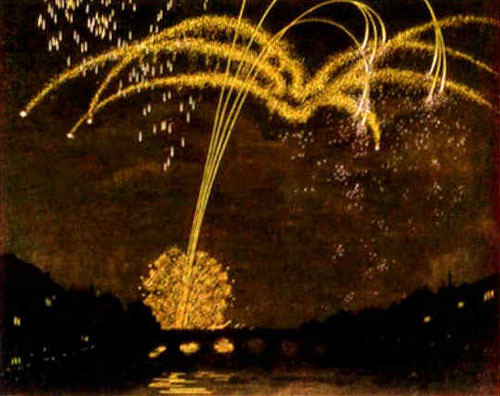 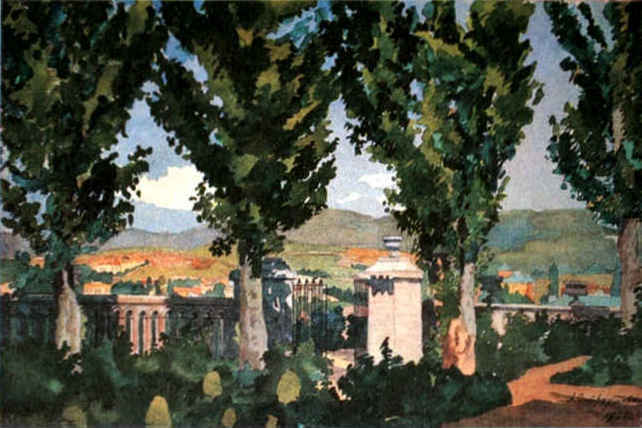 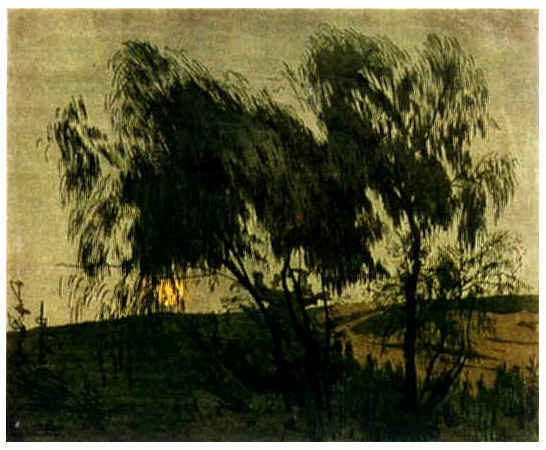 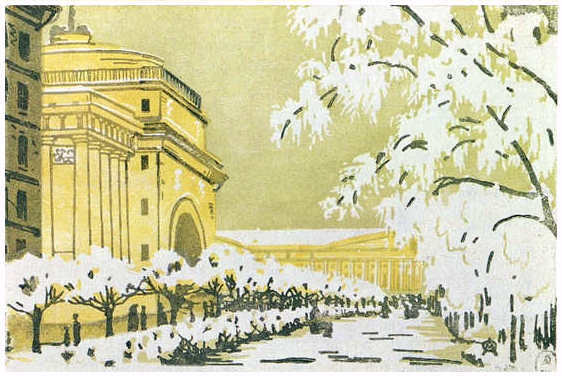 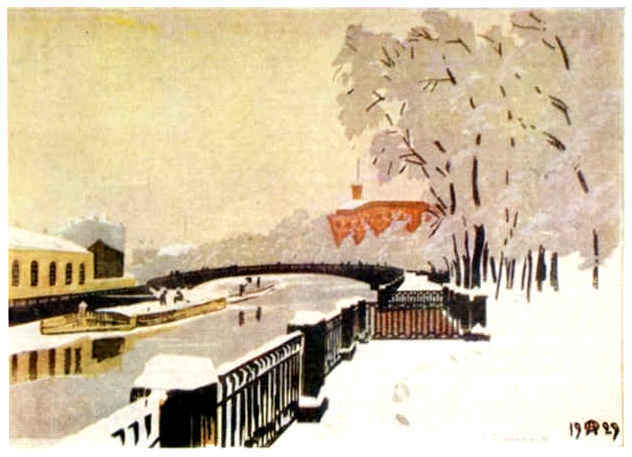 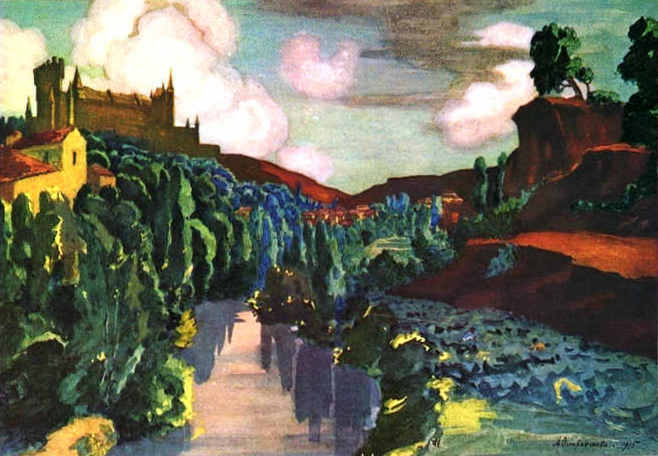 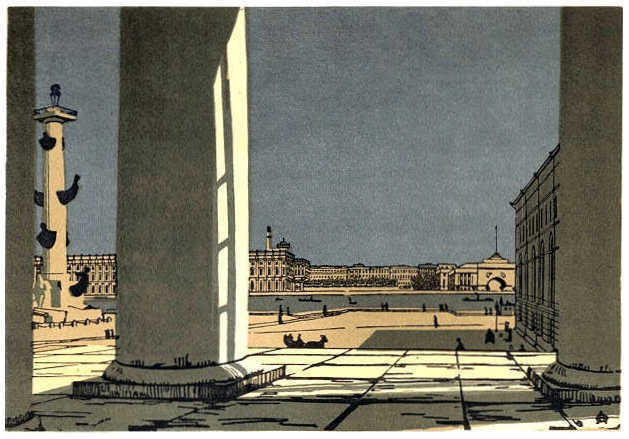 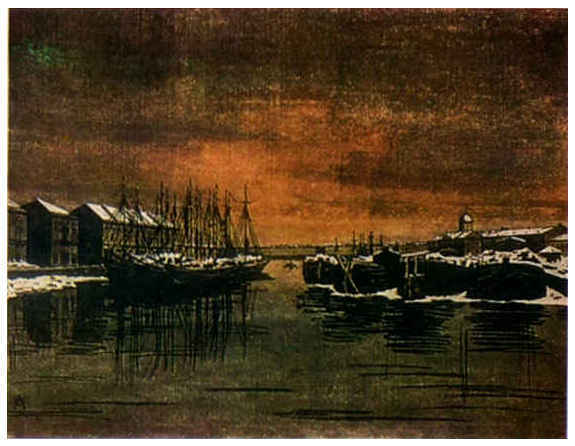 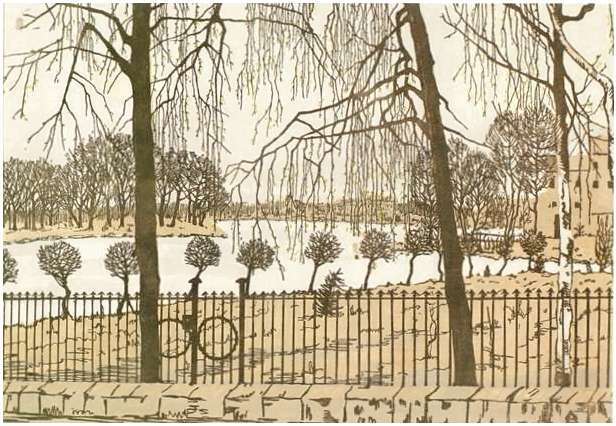 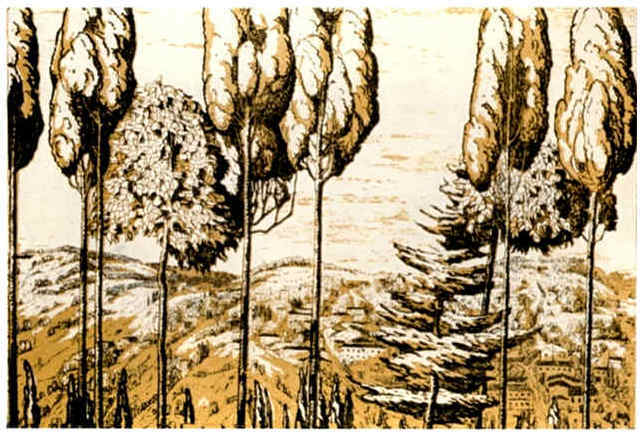 Following the example of Alexandre Benois, she worked on ‘historical landscapes’, and she is best remembered for her views of the Baroque and classical architecture of St Petersburg and its environs, as in the series of woodcuts entitled St Petersburg (1908–10). 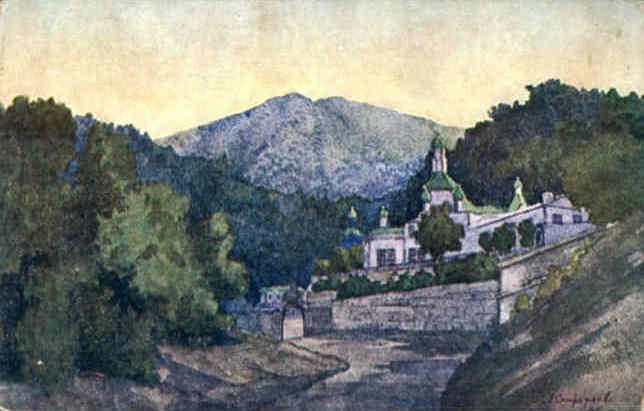 Krimea. 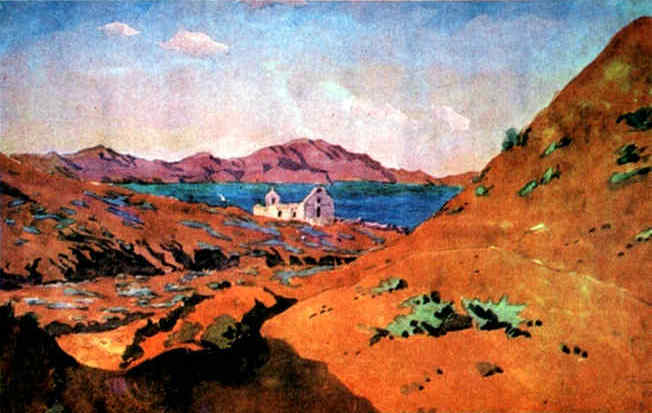 Koktebel. 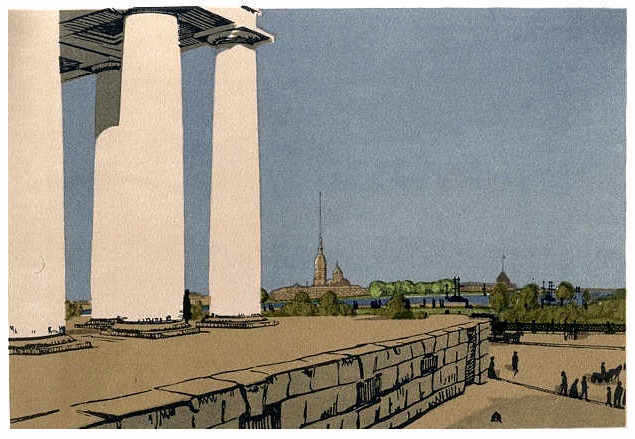 Ruins of Kordon.